We’re your Iowa tree services experts. Take advantage of our commitment, expertise, and experience in providing Iowa tree services. Put our 25 years of experience, hands-on knowledge, and awesome survival rate to work for you and your trees today. We are your trusted Iowa tree nursery and farm. We’re here for you with the best. 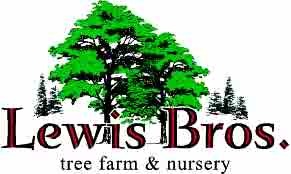 At Lewis Brothers Tree Farm & Nursery, our goal is to provide you with the healthiest trees in the Midwest. To accomplish this at the growing level, we’re committed to constructive and healthy methods of balling, spading, and burlapping roots before we deliver and install your carefully selected and healthy specimen. Whether it’s heavy lifting or careful design we’re here for you for all your Iowa tree services needs. We take pride in our excellent survival rate, and back every selection with a 90 day warranty to ensure their healthy growth and survival. Take advantage of our high rate of survival and practices to promote healthy growth.